That same report found that Facebook (52%), LinkedIn (21%) and Twitter (12%) are the most important social media platforms for marketers. 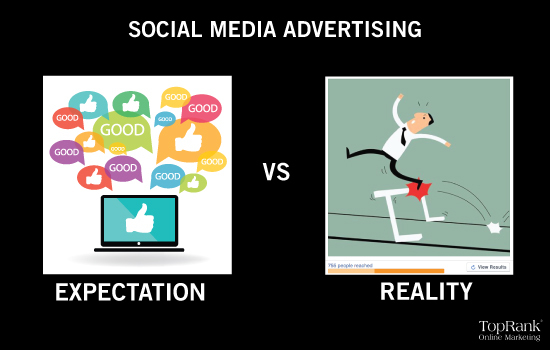 The examples below provide a glimpse into some common expectations that new (and even more seasoned) marketers have about social media marketing and the sometimes harsh reality. Expectation: When tackling social media for business, it can be easy to assume that you’ll have endless ideas for content and will be a publishing machine. Reality: More often than not, companies are strong out of the gate and then quickly tire from the attention needed to create and curate compelling content. 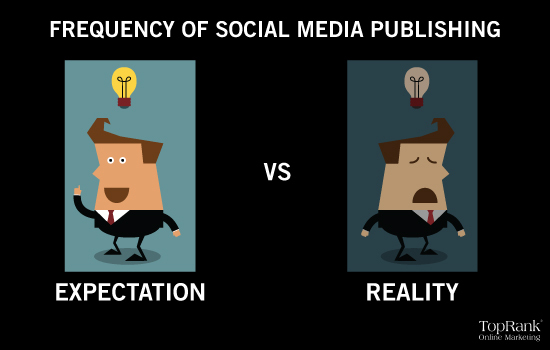 Solution: One way to engage your audience is to consistently publish content on your social channels. If you create a routine for publishing, they’ll know what to expect. Tools like Buffer are great for scheduling out your social media content for the week. You can also set up rules for posting frequency and time of day within your preferences. Additionally, Buffer has a handy content curation feature that makes it simple to choose a piece of content that is relevant for your audience and incorporate it into the publishing schedule. Expectation: Based on all of the awesome content you’re producing, it’s only a matter of time before those contact forms are flying in! Reality: More realistically, a strong social media presence will likely lead to an increase in referral traffic to your website (if that is where you’re pointing followers). Solution: An organic social media can be used in combination with content marketing efforts to drive lead generation. While it may not always be a direct conversion to sign up for services, there are other conversion opportunities. For example, use social media to lead your audience to gated content on your website or to a subscribe form to receive updates from your company. Expectation: Responding to brand mentions and inquiries is easy. Reality: Keeping up with brand mentions manually can become incredibly overwhelming. Solution: Continue to create quality content that your community will find useful and use Social media monitoring tools like SproutSocial, Topsy and Social Mention to help identify and respond to mentions of your brand. 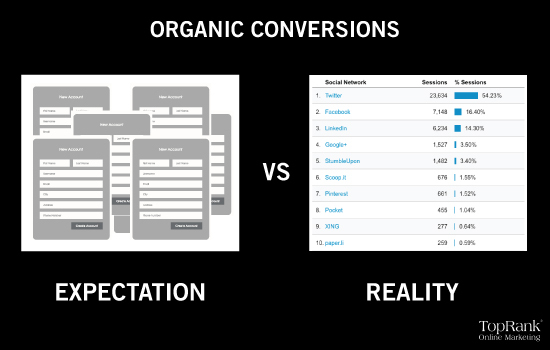 Expectation: Using paid social automatically means that you’ll have more conversions (likes, shares, comments) for your facebook page and website. 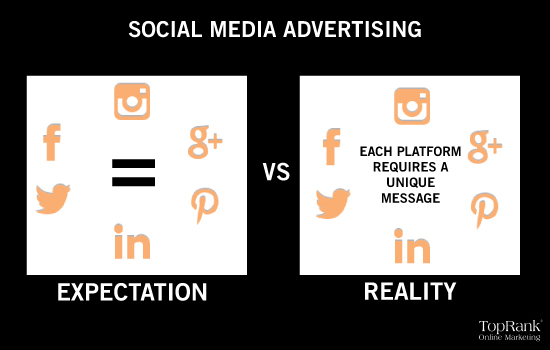 Reality: Social advertising merely provides access to more people, it doesn’t change the quality of your message. 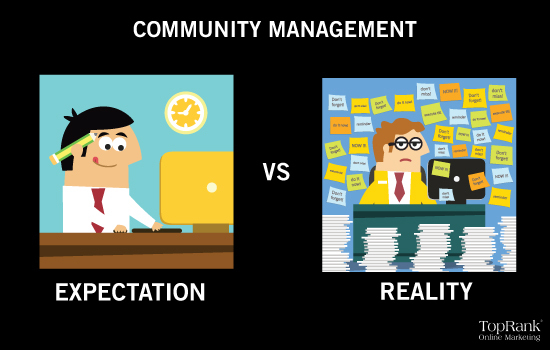 Expectation: You can successfully publish all of the exact same social messages on every platform. Reality: People use different social media sites for different reasons. Solution: You need to understand your audience and the social media sites that they use in order to get a true sense of how to position messaging for each platform. The way that most users interact on LinkedIn is vastly different than they would use an Instagram account. Keep this in mind when creating messaging for your business social media profiles and pages. True social media marketing success requires hard work, patience and attention to detail. 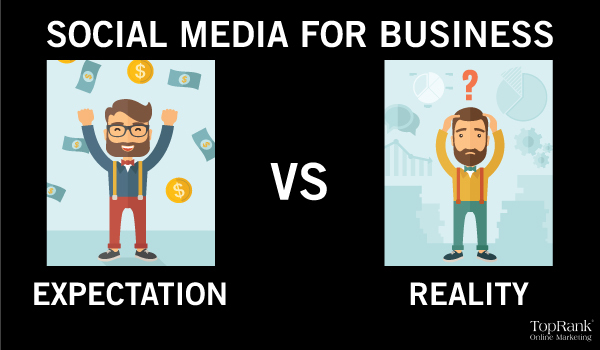 Chances are, if you invest your time and money wisely, you’ll begin to see some of your social media expectations become realities. What have you found to be the most shocking reality about social media that you hadn’t expected? Nice post, Ashley! I think another misunderstanding about social media is that it is free. Using social media for business requires plenty of time and time IS money. While it might provide low cost opportunities it most certainly is not free. Great point Amy! There is the investment of time and often money needed to be successful with social media marketing. Not only that, but you have to also pay for some features of some social media platforms to run a successful campaign, so it’s literally not free at all. The company benefits of social media participation can be abundant, while the value of non-participation, or opting out, may mean anything from losing business to losing touch with your clients and significant trends in your industry.